Trout farm fishing, venison and other produce sales, and local crafts. It was the local spring-fed creeks that gave this area its name, derived from an Aboriginal word for 'much water'. 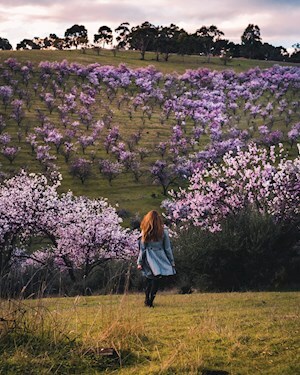 Follow Cleland Gully Road and the Tookayerta Creek east of Mount Compass as it winds through rolling hills and scrub leading you to bed & breakfast accommodation, trout farm fishing, venison and other produce sales, and local crafts. This is also where you can turn south on Deep Creek Road to reach Scott Conservation Park. See what people are posting about Tooperang. A popular service stop for those travelling to Victor Harbor, this is an authentic rural hub surrounded by rolling hills, meandering country roads and a bounty of local produce that range from blueberries and strawberries to cheese, pheasants and venison. Now a well-established wine region with several popular wineries and cellar doors, Currency Creek's earliest claim to fame was that it was once proposed as the site for the South Australian capital.